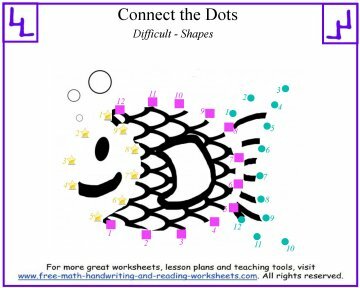 These dot to dot worksheets are a fun way to teach your child about shapes and colors. Most connect the dot puzzles use numbers. 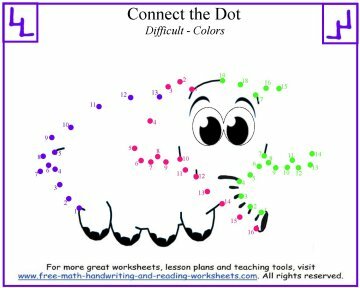 They're a great way to teach children about number order, but dot to dot puzzles can be used for so much more. In the worksheets below, students will have to solve at least three different lines to complete the puzzles. Each line is marked by different colors and/or shapes. 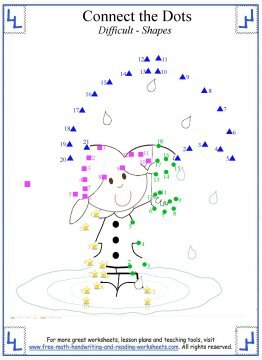 There are two papers that use color to identify lines--be sure you don't print these puzzles out in gray-scale. The other two use shapes to differentiate between lines. 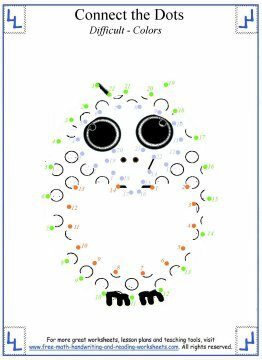 Click on the puzzle below to open up a printable file in another tab--you can print the activity sheet or download it to your computer. For more help with shapes and colors, check out the recommended pages below.